Good news for YouTube creators. The creators who are more passionate about the creation of enthusiastic content. Then no waiting to earn income from another best way offered by YouTube. That is nothing but “YouTube Channel Membership.” It is the extraordinary tool that turns your hard work of creating ultimate video content into money. It is the community where your fans are allowed to make monthly payments for your YouTube channel, and in return, they will get the emojis or badges as unique benefits depending on the design you allocate. What Do You offer as a Creator? Basing on the benefits that you provide to your fans will let them become the members to make the payment. Here are the requirements to get the channel membership. There must be above 30,000 subscribers for your channel. Your YouTube channel should have the YouTube Partner Program. As a creator, you must be 18+ years old. A creator should be located in one of the available locations. Your channel should agree with the YouTube terms and conditions. Your channel must have no active strikes. Policies of the YouTube Partner Program. As a creator you offer benefits to your members should follow the instructions of YouTube channel membership content and perks. Downloads of YouTube content along with music that is available on YouTube. Any of your channel members can receive perks but not limited to contests or lotteries. The marketed, targeted or directed perks that attract the children or inappropriate for children should be considered. The YouTube channel memberships will get the pause mode when you your YouTube channels enters to have 2 YouTube community guideline strikes and when you are changing the MCNs. When your channel is having this then the payment of memberships paused and also the “Join” button will disappear. Strikes: When your channel has strikes then your channel is restricted to use some features. Sign in to Google account that you are using. Then click on https://youtube.com/channel_memberships that directs to features page. Then hit on Get Started and follow the instructions given on screen. Then click on channel memberships. After that select gear icon then go to Turn off Memberships. Login to your MCN account of YouTube. Then hit on Enable for paid features. When is the Channel Membership in Pause Mode? Paused mode enables after changing MCNs. If you leave the MCN without enabling the monetization, then the channel membership gets paused mode. Also, when you accept the Commerce Product Addendum before joining the MCN. When the creator is offline cannot see the arrival of new members. But they can find all of their active members and how long being as members through https://www.youtube.com/channel_memberships . What happens when live streaming? If a new member joins to your YouTube channel membership then ‘New Member’ message in green color appears in live chat. At the top the live chat that message will be pinned up to 5 minutes. You can link the channel membership offer window directly to your channel URL at the end of the video description. Here the viewers can find the membership but are not allowed to membership payments. When you are dealing with MCN, then it is necessary to look up your network. Some networks may require additional revenue share. The cost of the YouTube channel membership may vary depending on each country. If the membership terminated, then the active members will get the refund of their last month payments. All the benefits you assign should obey our channel membership policies. 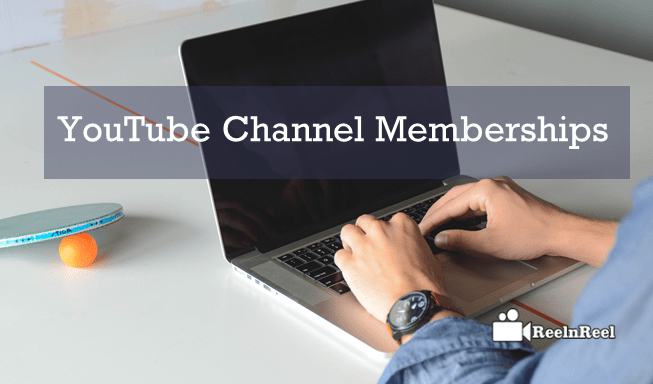 The YouTube channels which are enabled to channel memberships are allowed to create the members-only perks. The added benefits are enabled to the paid active members. These perks can be in the form of badges, benefits you assign and emojis, etc. Creators can make use of Community Tab when you want to share your content only with membership members. You can also launch the live chat with your paid membership members on your channel. The membership members who are offered badges can participate in live chat, community tab and can make comments. The Membership members can get the custom emoji that sent through YouTube at your live chat. The creators use this feature to gain revenue through the membership of the fans where they will pay the amount to watch the updated content on the channel of a particular creator. YouTube Channel Membership is the added source to the creators to earn income from their beloved fans as the member. Through this membership, unique content is delivered to the members than subscribers.